Dutch Startup Nestegg Biotech B.V. has been approved for a subordinated loan from Rabobank through their “AIL” program. The loans total €150.000 and will be used to bring new “Lab Automation” products to markets serving Dutch and Flemish research institutes and universities this fiscal year. Nestegg Biotech BV was assisted in applying for the loans by the Manager of Public Funding at the Brightlands Innovation Factory, Hugo Nikkel. 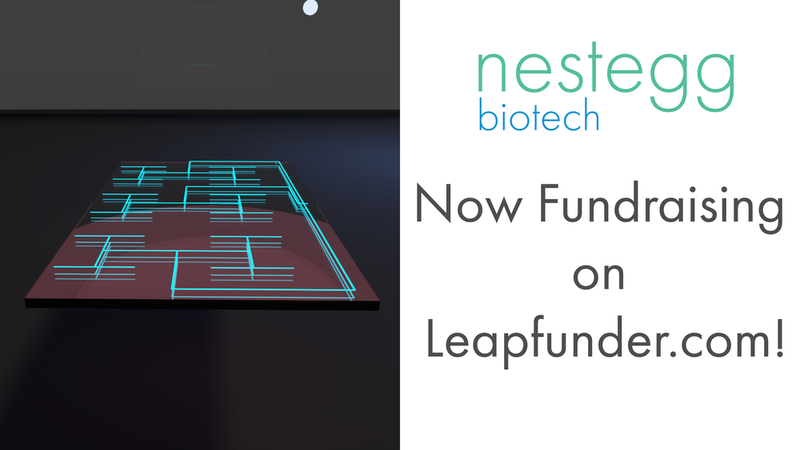 Brightlands continues to support the development of Nestegg Biotech’s goal of bringing “enhanced automation” to laboratories performing cutting-edge research across Europe. Obruza is a novel automated system provided by Nestegg Biotech to allow researchers to automate experiments in the fields of regenerative medicine, cell culture, drug development, and diagnostics. Nestegg Biotech has facilities on the Brightlands Maastrich Health Campus, in the southern Dutch province of Limburg. Nestegg Biotech expects to achieve validation of the Obruza system this fall in tandem with their initial partner the MERLN Institute for Regenerative Medicine in Maastricht. Announcement of new customers and partners is expected before the end of the calendar year. On February 15th we launched our second equity-based crowdfunding campaign on Leapfunder.com. The campaign will be active until May 30th 2018.